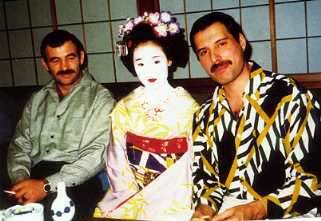 Jim Hutton, Freddie Mercury’s partner died on New Year’s Day 2010 from a smoking related illness at sixty years old. 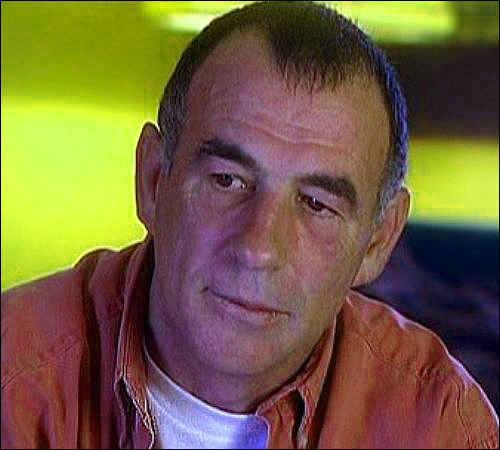 Although he had AIDS, Hutton did not pass away from AIDS related complications. Jim this time accepted Mercury’s drink and the two talked for a while but nothing transpired. About eighteen months later, the two happened to meet again at the same club. 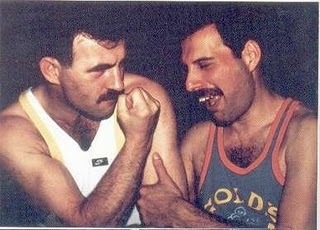 Freddie once again bought Jim a drink and this time they got together. 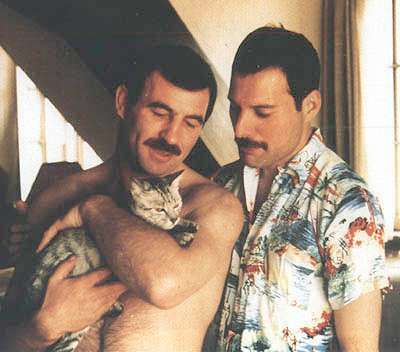 Jim was hired as Mercury’s hairdresser and ended up moving in with Freddie at his Garden Lodge home about two years later. Hutton himself tested positive for HIV in 1990 but he didn’t tell Mercury about the results for nearly a year. 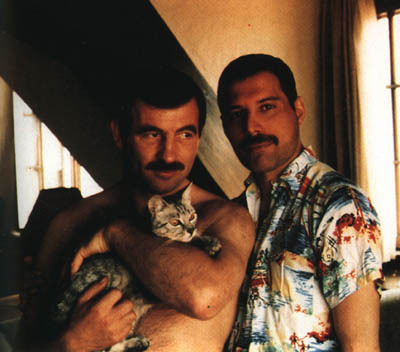 Jim nursed and cared for Freddie and was there by his side when he took his last breath on November 24, 1991. Upon his death, Mercury left Hutton £500,000 as well as a plot of land at Rutland Terrace, Carlow where Hutton built a house. He died and was buried in his native Ireland. Click on this link below for the story about Freddie’s death….